Arabic Master using a new approach in explaining the language makes it interesting to learn even in a non-Arabic environment . 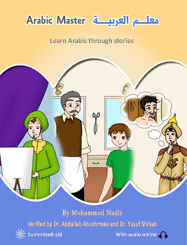 With this book we provide a website which contains the book's audio scripts and a collection of essential resources to learn Arabic for free. Summitsoft Limited 1999 - 2019.